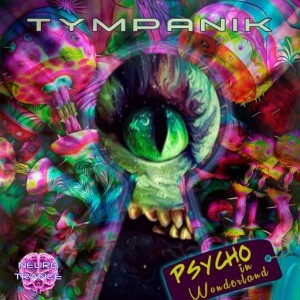 Tympanik from Argentina presents Psycho In Wonderland, three full-on psychedelic trance tracks blasting with vibrant and complex melodic explosions, epic uplifting builds, and drops with numerous psychedelic effects. Released by Neurotrance Records, the style of these works is a heady blend of high-energy morning trance with hints of classic Goa vibes. Mastered by Erofex with artwork by La Damaranha. MP3 Download | FLAC Download | WAV Download · Download count: 6,119. The first track kinda seems like Progressive Psy instead of being Full-On , since i didn’t find any cheesy melodies that full-on actually contains . The melodies here are nice but not cheesy like full-on , also the beats are not too fast like in Full-On but has a medium progressive like flow … Let’s see what others have to say regarding this . I think this could be classified as goa also. I think the classical sampling in track 1 is very awkward and not rhythmically matched. I very nearly skipped the track and would never listen to it again. Track 2 is badass layered full on the way I like it, good synths and progression.